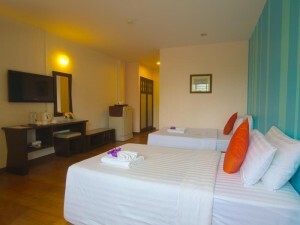 Woraburi Sukhumvit Hotel is a popular three star hotel on Sukhumvit Soi 4. The hotel is comfortable but not brand new, although rooms are in good condition and look and feel clean. The hotel has a rooftop pool with good views of the skyscrapers along Sukhumvit Road. A free shuttle is available to and from Nana BTS station.